It's a brand new chart topper this week and the second German language No.1 of the year after Helene Fischer's Atemlos Durch Die Nacht! 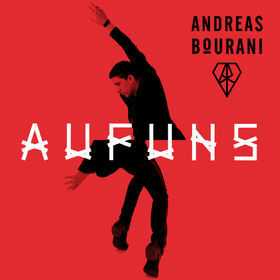 Andreas Bourani leaps from No.20 to the top of the chart with Auf Uns, which topped the charts in Germany recently. The Common Linnets fall a place to No.2 with Calm After The Storm after two weeks on top and Rae Morris finally scores her second top three hit as Do You Even Know soars to No.3! The Common Linnets fall one spot to No.4 with Give Me A Reason and RAM & Susana dip three places to No.5 with former chart topper RAMelia (Tribute To Amelia). Despite a huge turnover in the album chart this week, The Common Linnets easily make it three weeks on top with their eponymous debut album! Mariah Carey leads the charge of debuts with new album Me. I Am Mariah…The Elusive Chanteuse smashing in at No.2! Röyksopp & Robyn arrive at No.3 with their five track mini album Do It Again, Sam Smith enters at No.4 with In The Lonely Hour and Anna Abreu returns with V which is new at No.5!